From Southside Estates the Breckenridge Ski Resorts peaks through the trees to the small number of homes in this private neighborhood Just over the ridge above Illinois Gulch from the Breckenridge Ice Rink. Southside Estates homes for sale are a short walk from downtown, over the creek and along a wooded trail. By car, they are the first and only in-town subdivision past the last stoplight at Boreas Pass Road. The entrance to Southside Estates is the first left off Highway 9, past this stoplight. It is particularly easy access for people coming from the south, who will not need to drive through Breckenridge to arrive home. All the homesites are well set back from the highway and are surrounded by native trees and undulating hills. The lots are very large, and only a few are developed. Find out more about this new community or check out current Southside Estates real estate listings below. 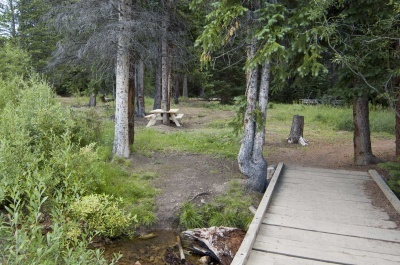 The Illinois Gulch walking trail begins near any Southside Estates home for sale, and connects to town-owned open space, national forest, and a sidewalk to the center of town. This small subdivision of only six lots was planned in this century, and is one of the few with a majority of vacant lots. It was developed by the same family that owns the Breckenridge Building Center and was instrumental in developing the Breckenridge Ski Resort in the nineteen-sixties. Amenities: close to town, large lots, small neighborhood, close to hiking, biking trails. To find homes in Southside Estates, pass the southern most stoplight in Breckenridge and take the next left onto Southside Drive. 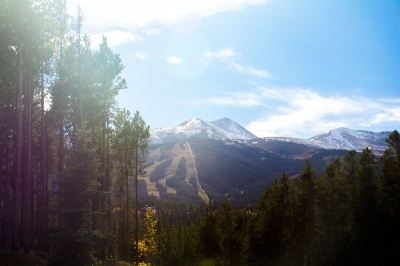 The knowledgeable agents from Breckenridge Associates have the best local real estate market information. Give us a call at (970) 453-2200 or send us a message to learn more.